By 1977, Steelhead stocking programs were in place and Wisconsin's, Lake Michigan coast was receiving its first fall and spring runs of Steelhead. Most of our tributaries get too warm and stagnant during the summer time, which means that about 90% of these streams and rivers do not support natural reproduction of these amazing fish and have to rely on stocking programs. The Sheboygan and Milwaukee rivers offer good habitat for lake run steelhead and browns and are the two primary rivers we target for these migratory fish. The Sheboygan and Milwaukee rivers both offer enough water volume to conduct float trips in mid fall for these two great species of fish. From the comfort of the raft, customers can glide through otherwise "private" water and target some of the best harder to reach stretches of these rivers. Accessing this brushy holding water from the raft also means comfort, nothing beats having warm and dry feet/waders even during the nastiest of conditions. We prefer to strip streamers or swing flies to attract the most aggressive fish in these runs. The cadence of swinging flies, also helps folks to slow down, unplug from the day-to-day stresses and really enjoy their time on the water. When the Steelhead and Browns spawn, they create nests (redds) in the shallows. Please note, We do not target these fish on redds, as it is highly frowned upon in the community. In addition, it is illegal if you were to snag one of these fish. If you desire a more "north woods" adventure, then the Brule river is the destination you are looking for. 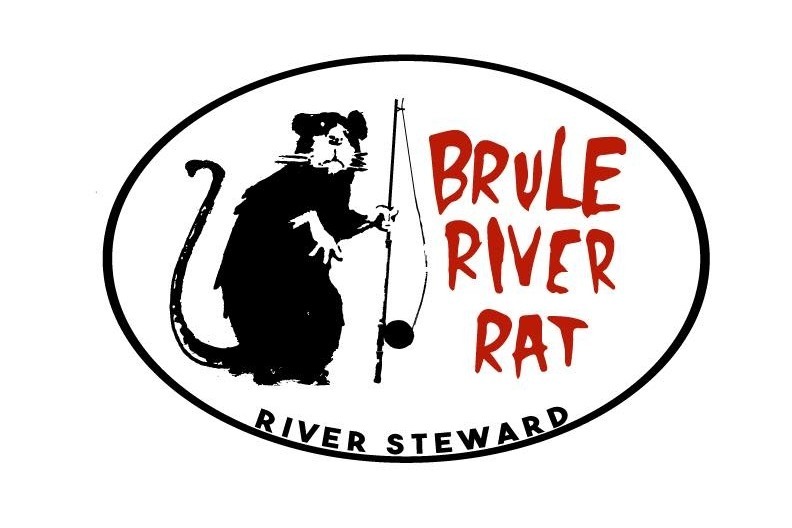 The Brule river down't receive the same numbers of huge steelhead and brown trout that the Lake Michigan tribs do, but, the Brule Steelhead are naturally reproducing and are wild! These fish are some of the hardest fighting strain I have ever had the honor of battling with. Much like their west coast relatives, they are born into and live in a very cold and brutal environment, Lake Superior. Give us a call if your interested in learning more about our Great Lakes Steelhead and Brown trout trips, and more up to date information pertaining to the current river conditions and possible trip dates.